Last weekend I treated myself to a new camera. It is similar to a camera I have that is not currently in working order (my dad's old rangefinder), however, this camera is a little different in that it is completely manual. It needs no batteries, and gives me no clues as to how I should set the camera to expose the film. I picked up the Kodak Retinette at the second branch of Nostalgia, on McCalla. My version, with a Schneider Reomar lens was made in Germany in the late 50s or early 60s. I removed it from its brown, leather case and opened the back. Standing among racks of polyester dresses and fur coats, I held it up to the light to watch the shutter open and close. The shutter opened large, and it opened small. It opened quickly and it opened slowly. The film advance turned round and round. It seemed like a safe bet. The next day I loaded in a roll of film before heading out to enjoy the spring time and the Dogwood Arts Rhythm and Blooms festival. I am impatient about some things, and was eager to discover how well my camera worked (and how well I worked with a completely manual camera.) 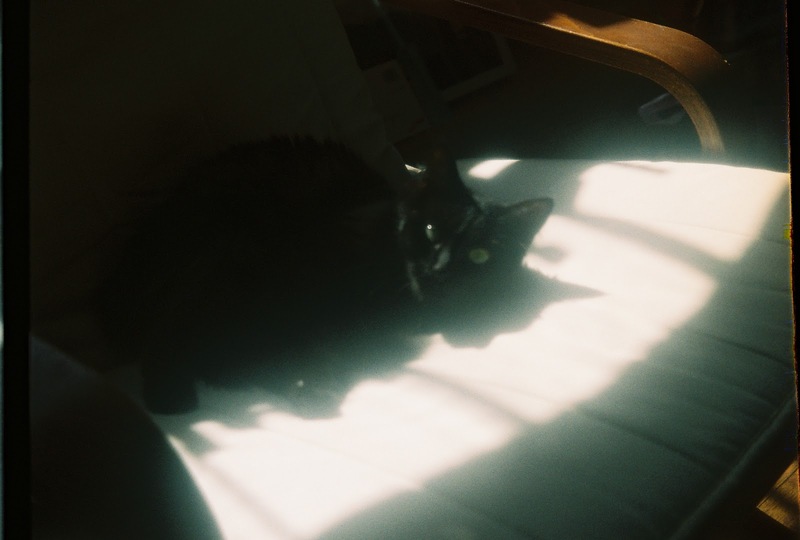 The first roll wasn't a total flop, but I need some better judgement about f-stops and the distance between my lens and my subject. Here are some pictures from that Saturday. 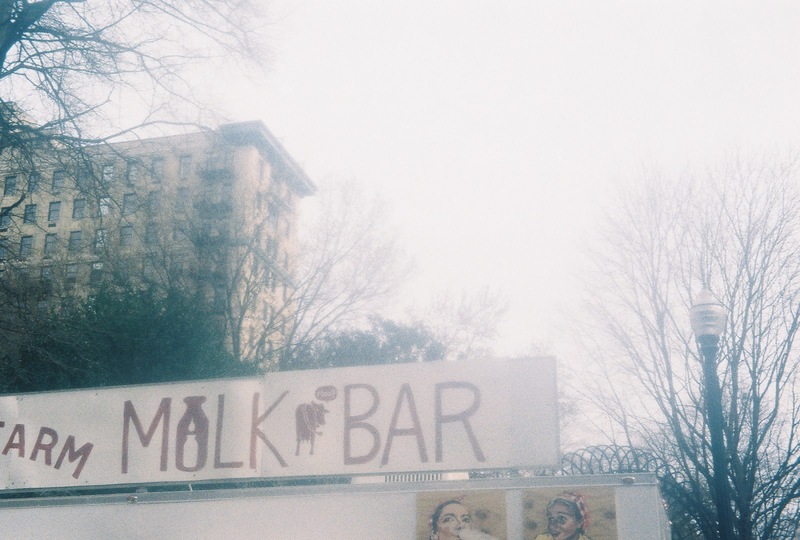 The Cruze Farm Milk Bar and Food Truck. Maker of excellent ice cream and Indian Foods. A favorite at the weekly Farmers' Market. 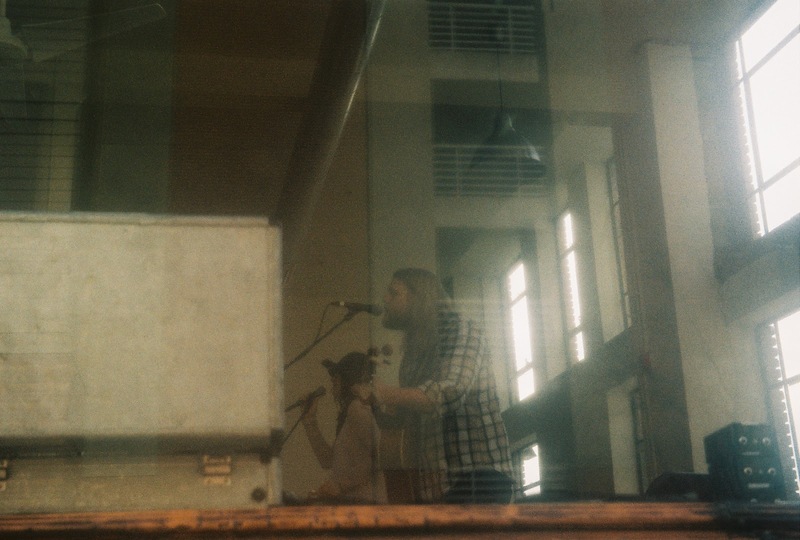 Carolina Story performing "The Night They Drove Old Dixie Down" in the Daylight Building. 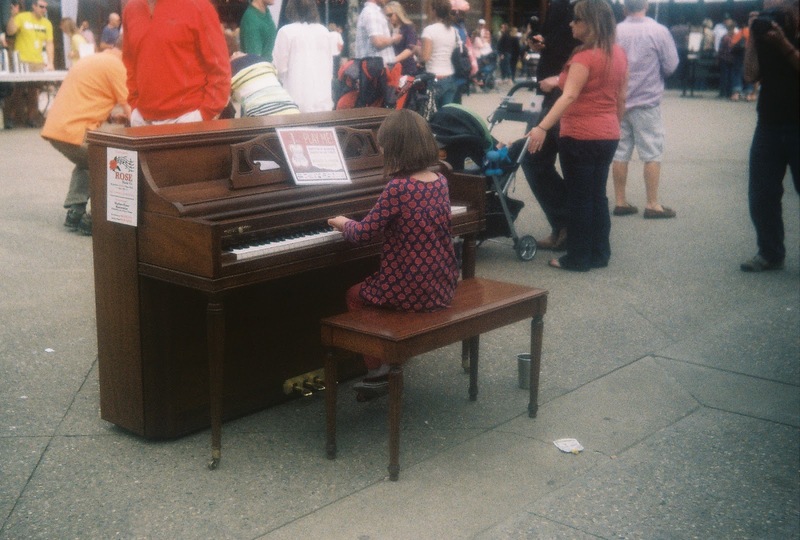 Pianos were out for folks to play in Market Square. This image is probably my best successfully focused shot. I'm a creep taking pictures of random children, but I see now I'm not the only one.